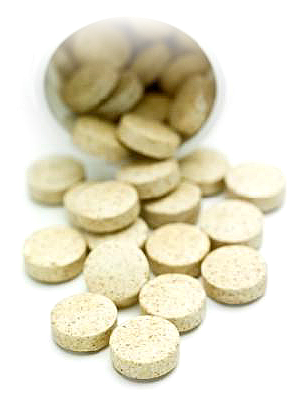 B vitamins are essential micronutrients and they are found in all cells in the body. These vitamins are involved in the regulation of metabolism, hormones, neurotransmitters, immune cells, enzymatic reactions and genetic materials. The effects of B vitamins on brain chemistry make them important to the treatment of insomnia. While studies show that the effects of these vitamins on sleep are modest, they also show that they can help. How can B vitamins help you sleep better? Which B vitamins should you use to treat your insomnia? Read on to find out. Investigations into the use of vitamins in the treatment of sleep disorder is not a strong area of research. This is mostly because vitamins are not regarded as drugs to be used as primary treatment options but rather as dietary supplements. Even then, some vitamins have been studied both for their ability to improve sleep or cause insomnia. Of these vitamins, the B vitamins are best studied. While some studies found that certain vitamins may help improve the quality of sleep, other studies found that certain vitamin combinations can promote insomnia. Generally, there are 2 ways that B vitamins may affect sleep. First, some B vitamins are needed for the syntheses and release of certain neurotransmitters and neurohormones that are involved in the regulation of sleep and the circadian cycle. For example, studies show that certain B vitamins are used as cofactors in the enzymatic synthesis of serotonin (a neurotransmitter). Once synthesized, serotonin can then be used to produce melatonin, a neurohormone involved in the sleep-wake cycle. The involvement of B vitamins in the production of sleep chemicals in the central nervous system is also the reason why certain B vitamin deficiencies cause insomnia. The second mechanism by which B vitamins may promote sleep is by providing relief for diseases that may disrupt sleep. The most important example of this mechanism is the use of B vitamins in the treatment of restless leg syndrome. Restless leg syndrome causes the involuntary movements of limbs. This movement disorder can interfere with sleep and then lead to frequent arousal during the night. Therefore, when B vitamins improve the symptoms of restless leg syndrome, they can improve the quality of sleep by increasing its duration and reducing the time taken to fall asleep. On the other hand, B vitamins are also required in the production of excitatory brain chemicals. Therefore, some of them can increase arousal and interfere with sleep. Discussed below are the most important B vitamins with regards to the sleep-wake cycle. Thiamine is also known as vitamin B1. Because derivatives of thiamine are present as functional molecules in all cells of the body, thiamine deficiency can cause severe damage to all the organs of the body especially those in the nervous system. Therefore, low thiamine levels can cause mental confusion, irritability, depression and weight loss. Thiamine deficiency has been linked to a number of diseases including Alzheimer’s disease, loss of eyesight and the disease complex known as beriberi. 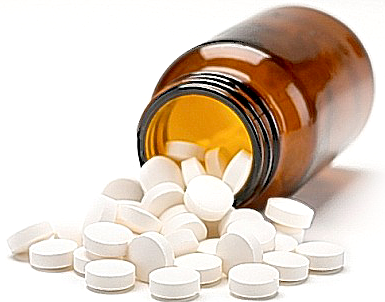 Alcoholics and people suffering from diabetes are most at risk of thiamine deficiency. In addition, thiamine deficiency can also be caused or sustained by magnesium deficiency. The active form of thiamine is an essential cofactor in the enzymatic utilization of amino acid and sugars. In the central nervous system, thiamine is used in the synthesis of at least 2 neurotransmitters: acetylcholine and GABA (gamma-aminobutyric acid). Because thiamine is involved in the production of GABA, it may help improve sleep. However, it should be noted that it is only a cofactor of an enzyme involved in GABA synthesis and not a precursor of the neurotransmitter. Therefore, improvement in sleep quality from thiamine supplementation is most likely modest at best. However, since thiamine is linked to magnesium, thiamine supplementation can also improve sleep by preventing magnesium deficiency. On the other hand, insomnia is one of the symptoms of long-term and/or high-dose thiamine supplementation. Studies show that taking thiamine hydrochloride in daily doses higher than 5,000 mg can cause insomnia, headache, irritability and rapid pulse. In all cases reported, these symptoms disappeared when the dose of thiamine was reduced. Therefore, high-dose thiamine should be avoided and low to moderate doses may help improve sleep. Niacin is also known as vitamin B3. It is mostly known for the disease caused by its deficiency. Niacin deficiency causes pellagra, a disease complex with symptoms including dementia, dermatitis, diarrhea, insomnia and general weakness. Therefore, niacin supplementation can help treat insomnia triggered by niacin deficiency. Like thiamine, niacin is essential to every cell in the body. It is essential to the breakdown of carbohydrates, fats, and proteins; to the repair and functioning of DNA; and to cholesterol and fatty acid syntheses. Niacin deficiency severely affects organs with high demand for the vitamin. The brain is the prime example of organs that constantly need niacin to function. This is why the most severe symptoms of pellagra affect the central nervous system. Studies confirm that niacin deficiency can affect sleep and that taking niacin supplements can help improve sleep quality. In fact, tryptophan, an amino acid that serves as a precursor of niacin, is commonly recommended in the treatment of insomnia. While tryptophan is also used to synthesize serotonin and, ultimately, melatonin, only 1% of dietary tryptophan is used in this pathway. The rest is used to make niacin. The exact mechanism by which niacin improves sleep is unclear. However, it appears that low niacin levels disrupt the firing of brain neurons and, therefore, affects the sleep-wake cycle. In addition, low niacin levels promote depression and have been linked to anxiety disorders. These can affect the quality of sleep. Therefore, by treating depression and anxiety, niacin can also improve sleep. In a 2005 review published in the Journal of Clinical Sleep Medicine, the authors reported a small study in which niacin was given to a group of participants for 23 days. The result of the study showed that niacin slightly improved REM (rapid-eye-movement or paradoxical) sleep. The same group of researchers also gave niacin to a couple of women with insomnia and found that the vitamin improved the quality of sleep. While this study is small, it clearly shows that there is a benefit to niacin supplementation in the treatment of insomnia. Pyridoxine or vitamin B6 is another essential B vitamin. Its active form is pyridoxal phosphate and it acts as cofactors in amino acid metabolism and also in the release of glucose from glycogen. With regards to sleep, pyridoxine may make a modest contribution through neurotransmitter syntheses. This B vitamin is required in the syntheses of a number of neurotransmitters including serotonin, dopamine, GABA, epinephrine, and norepinephrine. Because this list includes both excitatory and inhibitory neurotransmitters, it is unlikely that vitamin B6 improves sleep simply by increasing the levels of certain brain chemicals. However, some experts suggest that vitamin B6 may provide relief for depression and mood disorders because it raises the concentrations of serotonin and dopamine in the brain. Therefore, it can improve the quality of sleep by its modest antidepressant effect. Besides this, vitamin B6 is also involved in the synthesis of melatonin (through serotonin). Therefore, it may affect sleep by improving the quality of sleep and preserving the circadian rhythm. 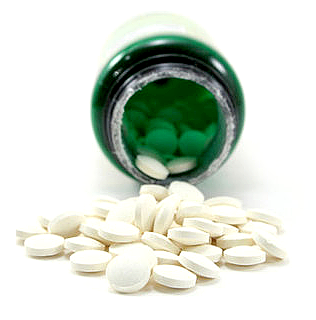 Folic acid or vitamin B9 is another essential B vitamin. Its actions and uses are intertwined with those of vitamin B12. Folate deficiency causes a number of symptoms including irregular heartbeat, anemia, nerve damage, mental confusion, impaired memory, depression, headaches, and irritability. These symptoms can affect sleep either directly or indirectly. Depression, mental confusion, irritability, and impaired memory are signs of neurotransmitter imbalance and damage to the neurons of the central nervous system. These psychological symptoms can make sleeping difficult and cause insomnia. Therefore, treating folate deficiency may help improve sleep. Another way by which folate deficiency may impair sleep is through the iron deficiency and vitamin B12 deficiency brought on by anemia. The exact interplay between these nutrients is not clear but it can produce dramatic results. For example, low levels of iron, folic acid, and vitamin B12 can contribute to restless leg syndrome and periodic limb movement, both of which disrupt sleep. Cobalamin or vitamin B12 is important for a number of essential processes in the body including the production of DNA and RNA, the regulation of blood cell formation and the maintenance of neurons. Much like folate deficiency, vitamin B12 deficiency results in anemia, nerve damage, depression, memory impairment, irritability, psychosis, and personality changes. Vitamin B12 deficiency causes depression and other psychological symptoms because the vitamin is required for the formation of neurotransmitters such as serotonin and dopamine. These symptoms are further worsened when folate deficiency is also present. Therefore, vitamin B12 supplementation can improve sleep by providing relief for depression and by preventing damage to nerve cells in the brain. A 1990 paper published in the journal, Sleep, demonstrated the positive effect of vitamin B12 on the sleep-wake cycle. The authors described 2 cases studies. The first was of a blind girl who had an abnormal sleep-wake cycle for the first 13 years of her life. By placing her on 1.5 mg of vitamin B12 given 3 times daily, the researchers trained her sleep-wake rhythm to fall into the normal 24-hour cycle. When the vitamin B12 supplementation was stopped, she lost the established sleep-wake cycle within 2 months. The second case study involved a 55-year old man who had experienced delayed sleep phase syndrome since he was 18 years of age. After he was given 1.5 mg/day of vitamin B12, his sleep-wake cycle returned to normal. A similar treatment protocol was also the subject of a 1991 study published in the same journal. In the 2 cases discussed in the 1991 paper, the researchers were able to restore long-standing sleep-wake cycle disorders with daily administrations of 3,000 micrograms of vitamin B12. In all 4 cases, none of the patients showed any sign of vitamin B12 deficiency. In addition, laboratory tests showed that their serum vitamin B12 levels were normal. These case studies show that low vitamin B12 levels in the central nervous system can cause insomnia and other sleep-wake disorders long before vitamin B12 deficiency can be diagnosed from low serum levels and clinical symptoms. Therefore, vitamin B12 supplementation should be considered for insomnia patients even when there is no evidence of vitamin B12 (or folate) deficiency.